As a result of the new lease accounting standards, the traditional leasing environment will drastically transform, causing major indirect impacts to lessors. The Financial Accounting Standards Board (FASB), Big Four accounting firms, and other lease accounting experts have all determined that the standards will have minimal direct impacts on lessors. However, the standards will place a large administrative burden on lessees. The big question experts are asking is, will that burden cause companies with large lease portfolios to forego leasing in favor of purchasing their assets in the future? Some experts argue that the new standards will result in the opposite outcome – an increase in leasing activity. To comply with the standards, lessees will have to develop new processes, policies, and controls that will increase their insight into their leasing programs. That insight may encourage them to lease more, rather than less, as they recognize and are better equipped to reap the benefits of leasing. Lessors should encourage this outcome by actively responding to the changing leasing environment. 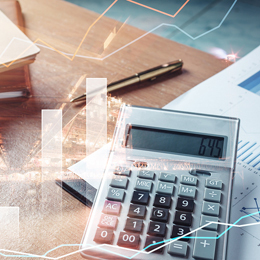 In order to influence their customers to continue to choose leasing, equipment finance leaders should take certain steps to assist their customers – and potential customers – with the additional administrative burden. But first, they need to understand what lessees are struggling with most under the new standards. At LeaseAccelerator, we’ve had ample opportunity to speak with hundreds of companies who are working to implement the new standards. A study published in February 2018 found that 75% of leaders in finance and accounting think that the implementation project is more complex than originally anticipated. The study also found that the biggest challenge for these companies isn’t the accounting, but the data collection process. Lessees have to find and record more than 100 data fields for each lease, including all the information related to payments, expenses, and end-of-term options in order to fully comply with the new standards. Additionally, the standards require lease data to be recorded at the asset level, rather than the contract level. So, collecting data for leases with multiple assets will be especially burdensome. They will also have to maintain this level of detail for each new lease they sign. Large companies may sign hundreds or thousands of new leases per year, creating a continuous, overwhelming burden of data collection. Equipment finance leaders can assist their customers by easing the administrative burden, while also differentiating themselves from the competition. Initially, they should focus on making it easy for their current customers to comply by the implementation deadline. They can reach out to their customers and offer a detailed spreadsheet of all the assets under lease, along with the associated rent schedules, payment frequencies, and end-of-term options. Lessors can also help customers continue to comply with the new standards on an on-going basis by establishing a process to share lease accounting details for any new contracts signed. One way to accomplish this would be by setting up a web portal where the data can be downloaded by their customers into their leasing applications. Some larger equipment finance providers may even consider developing integration capability between their system and the most popular lease administration and accounting applications to allow for straight-through-processing. Integration will also allow lease data to be quickly reconciled between the lessor’s system and their customers’ systems throughout the term of the lease. The standards also require lessees to separate the lease and non-lease components of their contracts. According to ASC 842, the lease component of a contract “conveys the right to control the use of identified property, plant, or equipment (an identified asset) for a period of time in exchange for consideration.” Any other portion of the contract that the lessee pays for that does not meet that definition is considered a non-lease component. For example, services, such as maintenance, are considered non-lease components. ASC 842 does offer a practical expedient that gives lessees the option of not separating the components. However, most companies are not expected to elect that option as it would increase their lease liabilities. The actual separation of lease and non-lease components is usually considered proprietary information by lessors. As a result, most of their customers do not know where to start when allocating consideration to the components of their contracts. However, the new accounting standards do allow lessees to use estimates when determining the allocation, creating an opportunity for vendors to assist their customers without revealing confidential information. They can provide their customers with guidelines for the usual breakdown of an asset class. For example, an equipment finance provider specializing in photocopiers or printers could create documentation on how much of the consideration is typically for the asset itself, and how much is for ink, maintenance, and other services. The lessors who make this documentation available will assist their current customers and create another selling point for potential customers. Even if equipment finance leaders assist their customers by implementing the above strategies, there is still the possibility of an overall decrease in leasing activity. Some customers will still hesitate to continue leasing because of their concerns about the on-going administrative burden. Thus, in addition to helping customers with the data collection process and lease component separation, lessors should also focus on re-selling the value proposition of leasing. The value of leasing is unchanged under the new standards. Customers will still have improved cash flows from lower monthly payments. They will still eliminate the risk and liability from having to monetize the residual value of their assets at the end of the useful lives. It’s critical for lessors to communicate how they can assist their customers with the transition and post implementation burden, as well as remind them of the reason they chose to lease in the first place. Lessors who adapt their leasing strategies to help lessees with the new accounting standards will stand apart from the competition. They will not only encourage their current customers to lease as much or more as before the implementation of the new standards, but also gain a larger proportion of the lessee market. Scott Dunnihoo is Director of Customer Success at LeaseAccelerator, where he is responsible for working with LeaseAccelerator’s customers to troubleshoot, diagnose, and resolve technical issues with the application. Dunnihoo has significant domain expertise in the areas of equipment lease sourcing, management, and performance reporting. Prior to joining LeaseAccelerator, Dunnihoo founded and led his own lease consulting practice for ten years. He has also held treasury, operations, financial planning, and analysis roles at various Fortune 1000 companies. Most notably, Dunnihoo managed the IT leasing program for Mobil Oil’s U.S. data center operations.